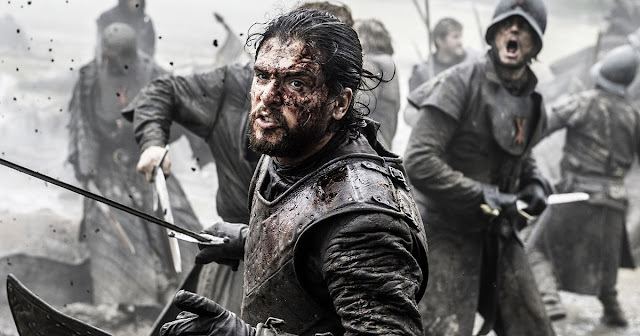 For the past weeks, HBO has had a rough time while suffering from data breaches in the hands of some hackers who broke into their network and stole over 1.TB of data including several unreleased episodes of different TV shows such as Ballers, Game of Thrones, Curb your Enthusiasm and others. HBO reportedly offered $250,000 to the hackers who demanded about $6 Million from HBO so as to prevent further leaks of their data which the hackers were already flooding the internet with. The hackers rejected HBO's offer, went further to release more TV shows and even threatened more releases. The Game of Thrones season 7 finale which is supposed to air on August 27, 2017 is fast approaching alongside with different rumours flying around it. Now some users on 4Chan and Reddit are sharing the season 8 scripts of Game of Thrones which they claim are the original scripts HBO has. The leaked scripts posted on those social network has many Game of Thrones fans not agreeing with the content in it. One user named Bascheon88 believes that HBO leaked those script (which are not actually the real script) on purpose so as to increase the hype of GoT and keep people talking about it. "I would honestly not be surprised if hbo leaked these on purpose just for more hype because there are some basic plot points that if they didn't happen by the end of the show wouldn't make sense so anyone whose been paying attention already thinks they should happen there's no way the order is right, we know that, Bascheon said. The user went further to add that the leaks "keeps people talking about the show that why they (HBO) don't even come out and say these are fake." One can not authenticate if the leaked materials are correct but there are good chances that the leaked scripts are fake based on the fact that the Season 8 scripts have been completed not long and even the stars who are the cast don't have access to the scripts. The casts are suppose to have access to the scripts one month (which is September) before its shooting in November. The Season 8 of Game of Thrones will be the shortest with just 6 episodes which are expected to last longer than previous Seasons.